I originate from the South Island and know Christchurch quite well, or at least I did. I’ve flown in and out a zillion times en route to visiting family, I’ve explored the Port Hills and Lyttleton, now destroyed. I’ve admired the city’s historic English architecture, now destroyed. I’ve even sold my clothes in a Cashel Mall boutique, now inevitably destroyed. I do hope that the owners are OK. If I feel devastated, I can only begin to imagine how locals feel. But I do know all of New Zealand feels very thankful for all the international assistance being offered – we’re a small country, and this is a big disaster. Thanks World. I’m writing to you as an Aucklander, to my Christchurch cousins and brother and sister Kiwis. And I just want you to know how much we’re all thinking of you and how much we love you and how much we feel for you in these impossible days. Your city is on its knees. Our eyes fill with tears at the sight of it. We watch the TV and listen to the radio all day and we hear your emptiness, your loss, your dismay, your shock, your disbelief. We see that ubiquitous bloody silt from the liquefaction, that weird up-thrust of clag that fills your back yards and covers your roads and buries your cars. We look at you and we look at it all and we know what it means. When we hear that the CBD will be closed for weeks, we know what that means for business. We know what it means for your kids, for their state of mind, for their health, for their next pair of new shoes with winter coming. So many of you are involved in the tourism business. We know what those pictures going round the world will do for tourism. We know what it’s going to do for the insurance premiums. We know some of you, after this, won’t be able to afford insurance. And we know what your cathedral means to you. I heard someone say the other day on television that the cathedral is a Christchurch icon. No. It’s a New Zealand icon. All our lives we’ve had the Christchurch Cathedral. I know you think we Aucklanders are up ourselves. I know you bang on about bloody Aucklanders. But really, we’re just the same as you. We’re Kiwis, before we’re anything else. We’re strugglers, like you. We get up and go to work and do the best for our kids, just like you. We help our neighbours, just like you, and we’ve watched you helping each other this week and we’ve all been deeply moved. We just want to walk up to the television screen and hug you and hold you. Of course, that is something in itself – we’ve been able to watch what’s been going on. So many of you in Christchurch, lacking electricity, haven’t been able to see television or listen to the radio or plug your computer in or charge your cellphones. And you may have loved ones missing as well and heaven knows how you’re getting your information and how lonely and isolated you must feel. I hope you have someone to put an arm around you. John Key was right this week. No act of kindness is too small. That was very homespun of him, wasn’t it? That’s why I suppose he’s so good when this stuff happens. And I know from September, when I went down for a look, that television might show the bricks lying in the street and the great crumpled buildings in their hideous forms. What it doesn’t show is the minute damage, the cracked floors, the broken pipes, the destruction of so much of everything you’ve built and so much of what you hold dear. Anyway, the TV coverage has been very compassionate, very graphic, very real and wall to wall. I must say how well I think TV3 did on the first day. Hillary Barry had just the right tone. Then I flicked on Sky News. There was Hillary across Australasia. Then I flicked on CNN. There was Hillary, right around the world. The most vivid report, and one of the briefest on the first night, was from my former colleague John Sellwood in Lyttelton. He painted a brilliant word picture of the destruction down the main street of the town. It was a lesson in voice reporting. It was passionate but precise and you could hear all the shock of the day in his voice. On Wednesday, at Hawkes Bay Airport on my way to Auckland, there was a flight due out to Christchurch. In the packed Koru Club every eye was on the television screen. I spoke with Stu, who just wanted to get home to Christchurch. He talked to his wife on Tuesday morning, an hour and a half before the earthquake. She was heading in to Cashel Mall to get her hair done. Cashel Mall was pummelled, of course. Stu couldn’t get hold of her all day. After the quake she and others were trapped in the mall. When they got out, it took Stu’s wife three hours to walk home. Stu finally got through to her about 6 on Tuesday night. He said he’d just been through the worst day and night he’d ever had. Then, just before I got on the plane, I spoke to a woman who works in Lyttelton. She told me that on Tuesday, about lunchtime, her staff ran her to the airport. By the time she landed in Napier, Christchurch was in ruins. She told me that if she hadn’t taken that flight, she would have been killed. She has a desk right next to a great brick wall. The entire wall fell across the desk. What we’re seeing this week, Christchurch, is the way you carry on. That’s one of the qualities we love about you. You keep going. Everything you rebuilt after last September has been ripped up and torn apart again and you keep going, and we cheer for you and we cry for your pain and heartbreak. And as each day has gone by this week, we’ve seen more and more clearly the enormity of the human and infrastructural destruction. You’ve got the right man as your mayor, though. Bob Parker is a face and a voice of competence and reassurance. On Wednesday night, I worried about him, so tired and careworn did he look, and I wished he’d simply head home and get some sleep. But there he was on Thursday, fresh as a daisy, the world’s media hanging on his every word, talking up the city he loves, willing you to survive. Anyway, I just wanted you to know how much we’re all thinking of you and watching you and praying for you and hoping for the very best for you in your dark hour of worry, longing and sorrow. Thanks for posting this Sherry. I live on the Shore but missed the letter in the Herald. It really does sum up how everyone is feeling. Your blog is an inspiration and a great source of teaching for me as I'm in the early stages of learning to make garments that fit and flatter me. Thanks so much for everything that you share. Your garments are beautiful. I'm from San Francisco… Let me tell you we're all with you here. You will rebuild, and the next iteration will be fabulous too, but what heartache in the process :-(. I'm so so sorry. We are with you from centre-Europe and we try to help you. So awful, makes everything else seem so insignificant. Our hopes and prayers are with all New Zealanders. There are a few NZ bloggers that are yet to make a sound in blogland, I hope they are all OK. I'm glad to hear from you. I wondered about you when I heard about the earthquake, although I didn't think you were near. Those are beautiful words. My prayers are with NZ. Good to know you are well and my sympathy for Christchurch and all who live and work there. As a lifelong resident of the San Francisco CA area we watch a quake like this and shudder knowing it could happen here. NZ sounds like a strong and resourceful country and I know they will get through this by pulling together. I have been thinking about you, my sewing friend from New Zealand! Our closest friends are from NZ and were visiting Christchurch at the time of the earthquake, so we have been getting emails from them. They are all well, thank goodness. We were planning on going with them this trip, but at the last minute pulled out. My prayers are with NZ and it's people, and hope you find more survivors. Thank you also for posting this. We were two days from leaving the USA for NZ when the earthquake struck. We decided to continue with our trip mostly because we want to support the people and spirit of this beautiful country. So here I sit, in a Wellington hotel, preparing to leave for 2 1/2 weeks in the South Island tomorrow. Blessings to all Kiwis for their resilience and strength in the face of this tragedy. Yes, thanks Sherrie for sharing these words. I have fond memories of Christchurch and I feel very sad at what has happened. You will rebuild, will take time, and in the process there will be healing. Here in Australia, our thoughts are with you guys and I for one will come back and visit Christchurch. Take care. Those of us in the USA are just as heartbroken & teary-eyed at knowing & seeing the level of destruction in Christchurch. It's truly heart-breaking. Thanks for posting such inspiring words. I am praying for everyone there, this is heart breaking to so many. I live in Australia but have felt devastated and unnerved by the Christchurch earthquake. as a young girl I spent a year in NZ backpacking working in pubs, farms, hotels. Christchurch was special for me – I loved the Wizard, the hostel opposite the Cathedral and the folk music in the pubs around the University. I'm sure that many of my old friends have been affected, but I lost touch with them years ago (this was the 70s – no Facebook to keep connected). My thoughts and prayers are with Christchurch – we all watch the news in utter disbelief. I live in Newcastle and we had an earthquake in 1989 – nothing to the magnitude of this one – such a beautiful country experiencing terrible heartbreak. I have been so sad and distressed to hear of this terrible event. My thoughts are with the people of Christchurch. Thank you for such a thoughtful post. We've been getting numerous daily updates from CC NZ here in the UK. We are all hoping that more people will still be saved. I am soo very sorry . I am an Aussie and whether you Kiwis like it or not we do feel more family with you than any other country on earth. It is overwhelmingly awful. My sister in law has just gotten out of Christchurch after being at a conference . She came home to comfort . How awful to have your whole world shattered and be unable to come home to comfort and safety.. We are coming to NZ for a holiday in December and will spend up big and do our bit to help this brave little country get back on its feet. Thank you for posting this Sherry. My inlaws are in Auckland and while I have visited there many times have never been to Christchurch. While we get fires and floods over here in Australia, at least with those disasters there is some warning and time to prepare, even if it just means getting yourself and family to safety. I can't imagine what surviving an earthquake must be like. I am in Christchurch. 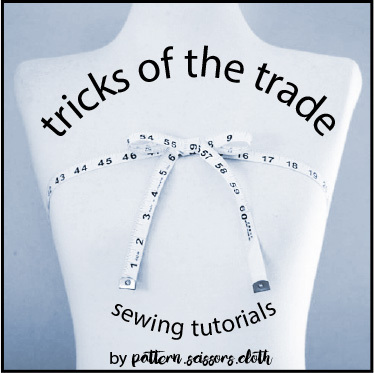 I was just reading through your blog, enjoying myself and picking up a few sewing tips, when I found this entry. What a shock. Now I have to go and blow my nose because I'm crying. Nearly a year after the event, I have only cried once, so it is good for me to do this now and again, to release the emotional pressure. I'm sure when Paul Holmes wrote that article, or when you reposted it, nobody dreamed that the city centre would still be closed now, or that life would still be effectively on hold for many people. But we were, and remain, grateful for the support from the rest of the country and people around the world. It really did help.